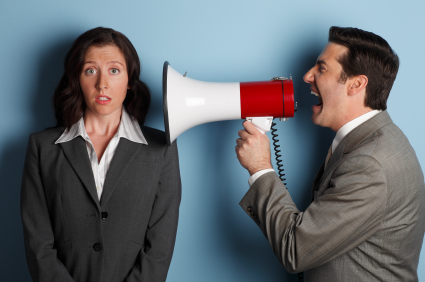 How do you react when faced with poor-performing or disruptive employees? Unfortunately, too many managers simply play ostrich, sticking their head in the sand and hoping the situation improves. The result: problems worsen, morale deteriorates and productivity takes a major hit. Don’t let this happen in your organization! With this entertaining and informative audio recording from her popular webinar, expert trainer Amy Henderson will teach you and your supervisors a series of practical, real-life tools to handle even the toughest problem employees. With Problem Employees: Coach ’Em, Discipline ’Em, and Turn ’Em Around, you’ll discover the essential steps to deal with problem employees quickly, appropriately and effectively. The two types of poor performance – and why it’s important to know the difference. The correct steps for “diagnosing” problems before trying to reach a conclusion (avoid “management malpractice”). How to avoid a common trap that prevents managers from staying objective. Specific words to use in employee coaching meetings – words that focus on the situation, not the person! An easy, yet powerful, tool for tracking employee performance (no smart manager can do without this!). Four “coaching points” to include in every employee discussion. How to foster ongoing employee feedback throughout the year (As Amy says “Discussing performance only during the performance appraisal is like dieting only on your birthday and wondering why you’re not losing weight!”). How to know when to terminate – 8 questions to ask. This audio recording focuses on practical, hands-on solutions – not theory! Amy quickly walks you through a series of five real-life scenarios, explaining how to discover the root cause of the problem and the manager’s proper response. Order Problem Employees – and start “fixing” your problem employees today! P.S. Your satisfaction is unconditionally guaranteed. If Problem Employees fails to meet your needs, we will refund every penny you paid – no hassles, no questions asked. Amy Henderson is president of Henderson Training Inc. in Santa Clarita, Calif. She is a seasoned trainer with experience as both a manager and entrepreneur. Since 1991, Amy has logged thousands of hours facilitating HR training programs for corporate America. Amy’s comprehensive, advice-packed seminars are both engaging and fun for participants. Her credentials include more than a decade in the financial services industry, a B.A. in business management and certification from the Center for Leadership Studies. This recording has been approved for 1.25 credit hours toward PHR and SPHR recertification through the Human Resource Certification Institute (HRCI).